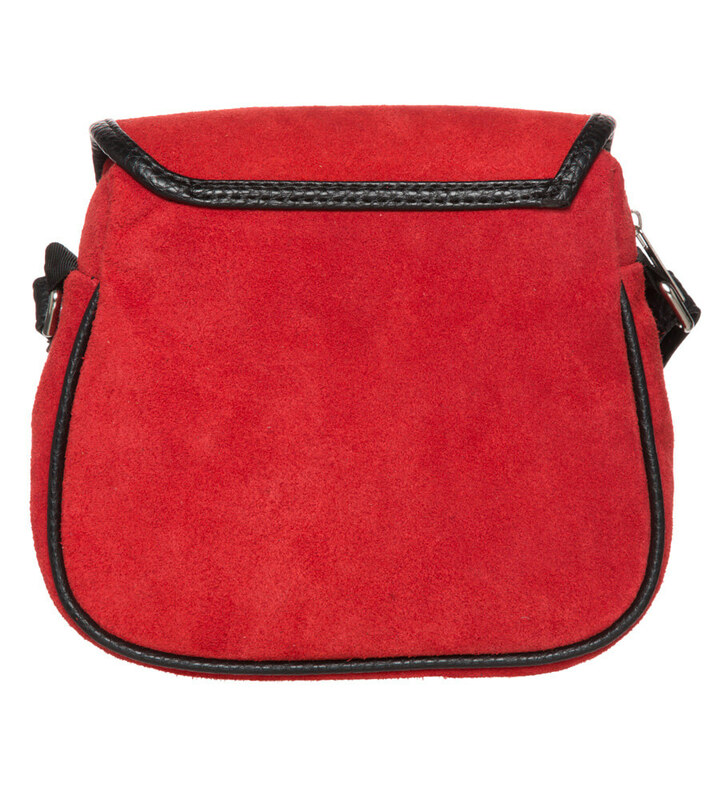 Trachten bag in a vibrant colour. 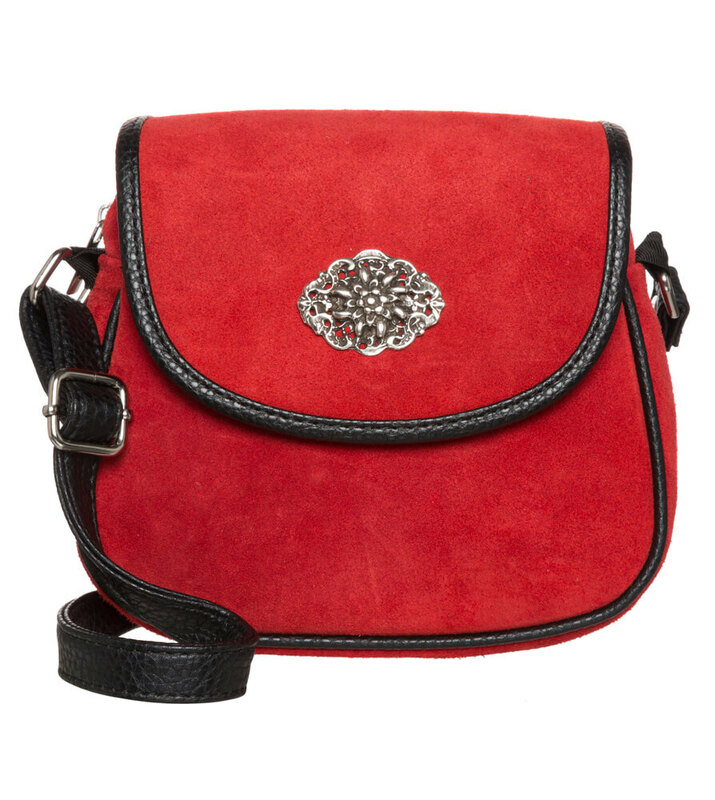 This shoulder bag by Schuhmacher carries a touch of vintage flair around with it. 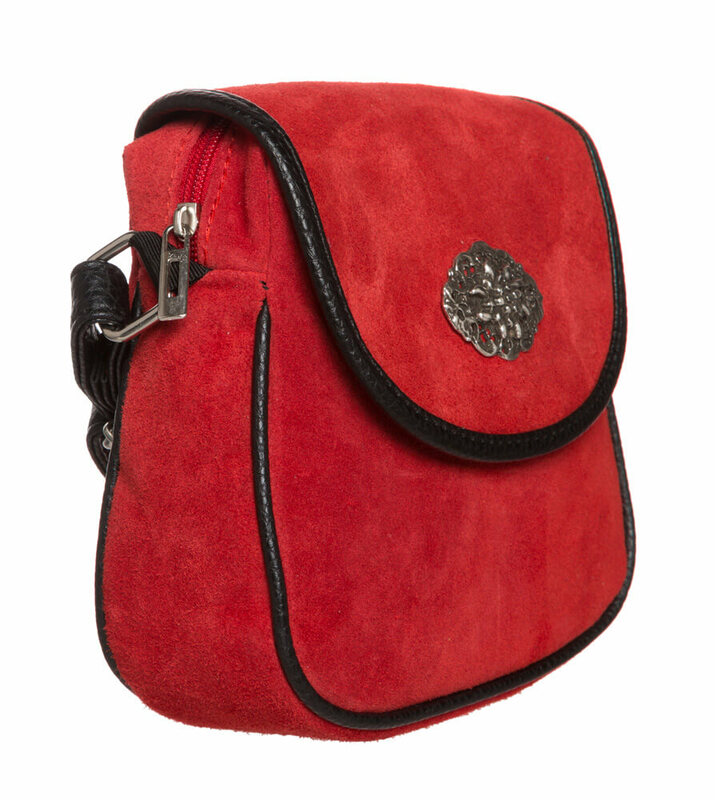 Finished in a pretty saddlebag style and made from raw leather, this bag looks particularly authentic. The jolly contrasting borders and piping give it a versatile look, while the old-silver-coloured appliqué heaps on the Trachten charm. An ideal accessory for the city, but also for folk festivals: this bag doesn’t just look chic, it also boasts a range of practical details. 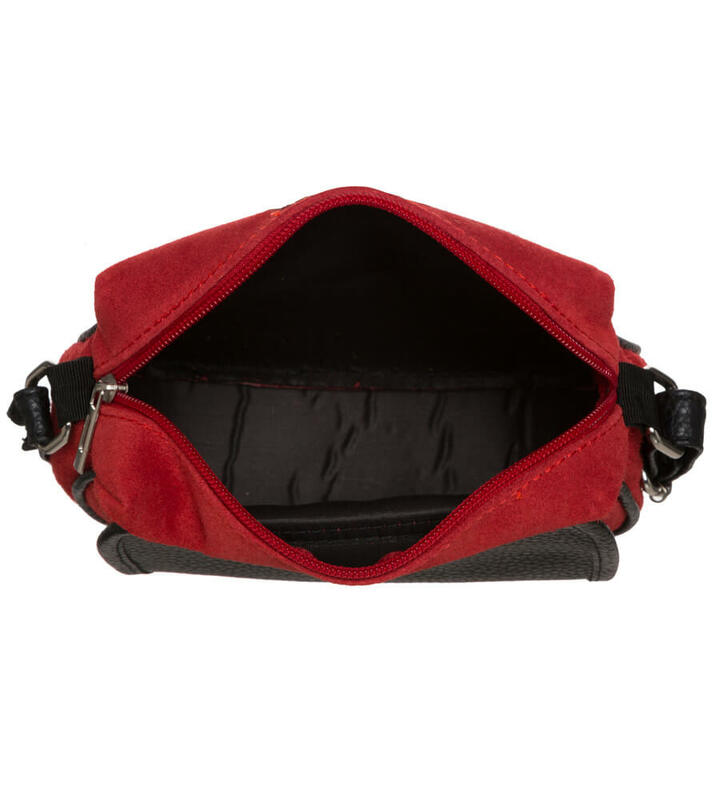 Thanks to a zip fastener under the flap, all your valuables can be stored safely and carried around with you. An additional magnetic fastener can be found on the flap too. The carrying strap can be adjusted by length, so as to best fit your individual tastes.